Americans younger than 40 years old have a 1 in 55 chance of becoming millionaires off their own effort. The average American spends $223/year on lottery tickets. 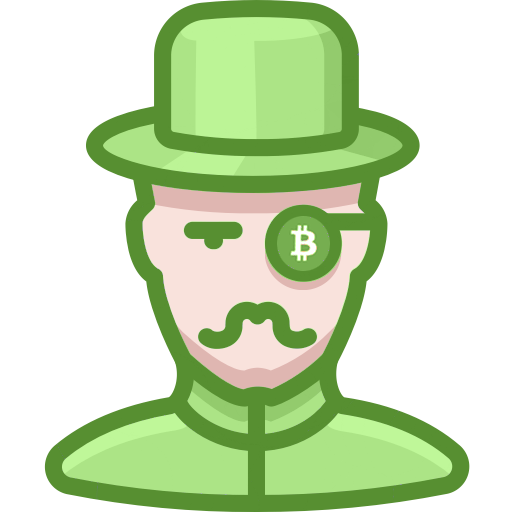 There are 36 million millionaires in the world but only 17 million Bitcoins or less are available for trading. 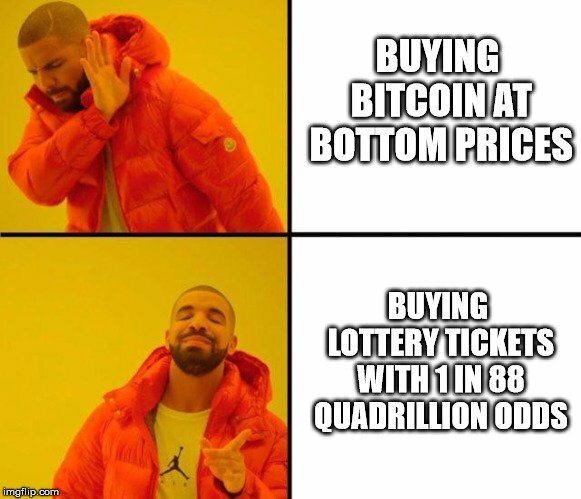 Would you rather buy lottery tickets instead of Bitcoin? Do you think state lotteries are a good deal or just another tax scheme on the poor? Feel free to share your thoughts on this post with the crypto community in the comments below! What have you been doing this crypto winter? Accumulating patiently like a professional hodler. Panic selling like a hopeless noob. 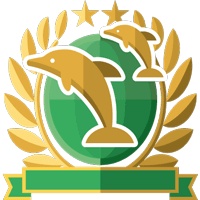 If you answered 1, go ahead and download Crypto Millionaire from the link below. This app will help you diversify in a smart way, especially right now that' it's such a good time to buy the millionth of supply of top coins on the cheap. If you answered 2, sell everything and become a pimp. It's the only way you will be able to keep selling bottoms, haha! SEC Chairman: Bitcoin is NOT a security! How I'm using Bitcoin’s Lightning Network in the real (third) world! My first experience ever with BITCOINS’s LIGHTNING NETWORK – PAINS and GLORY! Don't forget to tell the community what you think of this post in the comments below. No way. Lottery tickets are a tax on stupid people. And I ain't stupid! It's a tax on poor and stupid people. If it were only a tax on stupid people it would be fine, since they kind of deserve it, but they also prey on the poorest of people at the worst times in their lives. I don't understand why people forget so easily that Bitcoin it's based on trust. Panicking will hurt that trust and ignorance it's even more dangerous. too bad. damage has been done. The truth is you can make money on bitcoin at any value as long as you get in and out fast and don't get stuck holding the hot potato hahaha been there done that. Bitcoin to steller to potcoin to USD so on and so forth riding the crypto swing on poloniex. Sounds like its time to get back in @$2000 many people will be dumping lol.